Twitter is one of the most used sites on the net, and twitter lovers always need useful “things” to make twitter their “own”, So here are a few things for all you twitter fans, Happy Tweeting, with Style!!! Some really good custom backgrounds for twitter and facebook graphics, While many are paid versions, there is also a section for free twitter backgrounds. Professional looking site, with free backgrounds arranged using tags and categories. Some good backgrounds for twitter, with easy installation instruction for manual install or auto install tool for people having no idea how to customize their twitter. They have a lot of graphics that can be used as background wallpapers for your twitter, especially interesting is their Twitter Logo Section. Lots of quality stuff here, has an automatic install tool for installing the custom background. unfortunately the manual install doesn’t seem to work. Simple and clean free templates for twitter. Google+ opens its door for everyone, now everyone can join and its free. I think that Google+ is heavily inspired from Facebook's success and poised to be the next challenger to facebook in the social networking arena. So, where does that leave Google's Orkut? Facebook's popularity can be attributed to the clean uncluttered interface which is very user friendly, and its speed on even slow networks and mobile access. Google itself has some advantages here, It's Orkut is still alive and kicking, YouTube for sharing video and integeration of Gmail and time tested ad-strategy with Google Adsense. 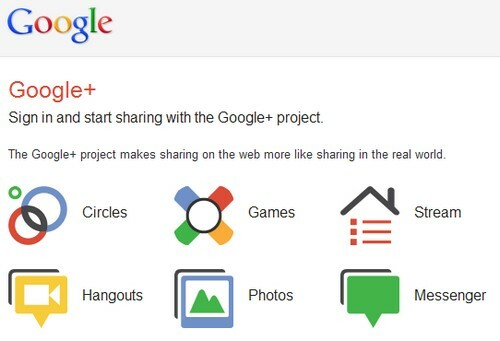 Those who still like to be invited at Google+ send us a message with your email, we will send you a Google+ Invitation.